The U.S. Department of Defense (DoD) is seeking high-performing unmanned aerial vehicles (UAVs) designed to meet stringent size, weight, and power (SWaP) constraints. One solution is to pack the vehicles with components. The problem? The lower the SWaP and the smaller the UAV gets, the more performance suffers. Unmanned aerial vehicle (UAV) designs are increasing the number of onboard RF [radio frequency] and microwave components to address performance issues and tackle technical challenges ranging from counter-UAV tech to power consumption. To address these challenges, UAV developers are integrating different technologies to deliver a high-performing UAV in a design constrained by size, weight, and power (SWaP) concerns. Designing a UAV under the SWaP umbrella is a major – if not the biggest – challenge for design engineers to ensure that this system is stable and powerful enough to complete a mission. “One the biggest technical challenges that we see our customers already trying to tackle is that as you get smaller and smaller you have so much gain; the real challenge is keeping the whole architecture stable,” says Gavin Smith, product marketing manager at NXP Semiconductors (Phoenix, Arizona). Companies are positioning themselves to handle current and future technical challenges. 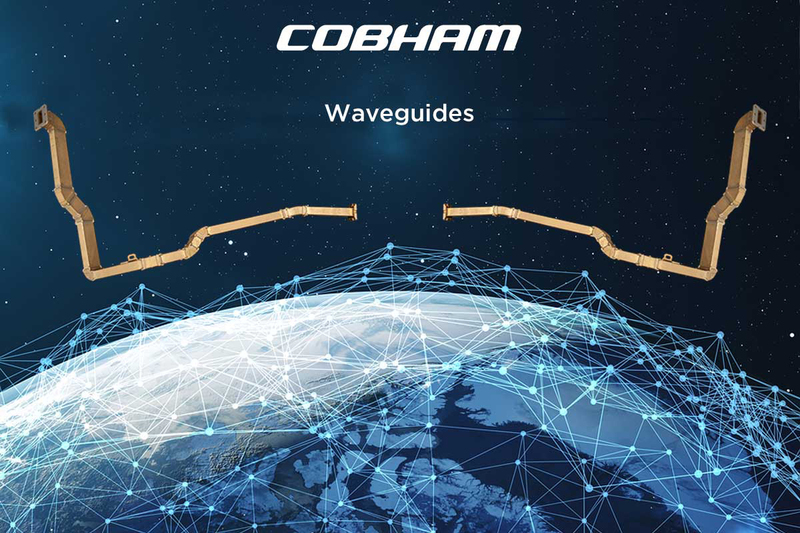 For example, Cobham’s “Waveguides will remain an important element of RF communications and ISR [intelligence, surveillance, and reconnaissance] applications for the future, as waveguide efficiency still makes it the best choice for many applications. In future UAV systems, reduction of system size and weight will be crucially important,” Hassannia says. Traditional manufacturing techniques have constrained the design of waveguide assemblies of filters, diplexers, duplexers, and antennas resulting in extended assemblies of numerous waveguide elements, he continues. “Cobham is working with additive manufacturing technology that will be a game changer for the packaging of complex waveguide architectures. By removing fabrication constraints and allowing the creation of complex architectures that ‘fold back on itself,’ system volume can be reduced, and the waveguide assembly more easily customized to the host vehicle.” (Figure 1). Integrating tech to achieve max results. Integrating different types of technologies to deliver a high-performance system will be key for the warfighter. 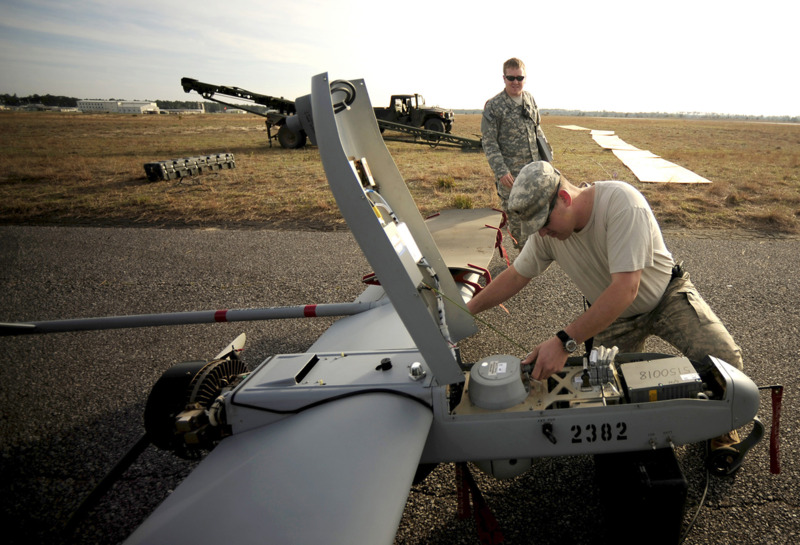 Of course, it doesn’t negate the fact that as unmanned systems become more integrated with all the additional RF components to meet high data demands, there is still the DoD’s SWaP directive. “SWaP optimization is definitely a major design challenge in this space,” asserts Deepak Alagh, senior director and general manager, Mercury Systems RF & Microwave group (Andover, Massachusetts.) “As we shrink high-frequency circuitry into very small spaces, accurate modeling becomes very critical and difficult. In addition to modeling and accounting for cross-coupling, the models need to capture nonlinear effects as well as the heat generated in the devices. For example, Mercury Systems’ Mercury’s “SpectrumSeries Platform combines RF, digital, and custom SiP in a small outline,” Alagh says (Figure 2). Figure 2: Mercury Systems’ SpectrumSeries Platform. Photo courtesy of Mercury Systems. 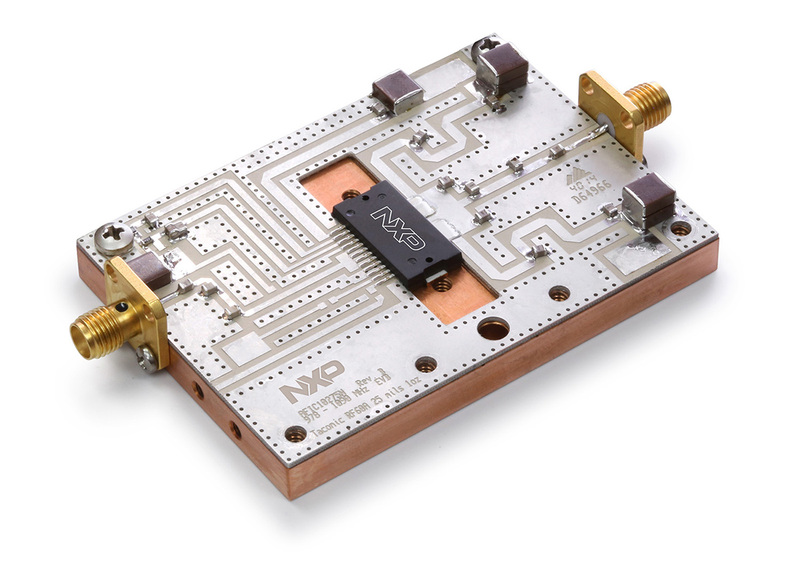 NXP’s entrant in this market, the avionics AFIC10275, “is a silicon LDMOS product: It is a two-stage RFIC designed for transponder applications operating from 978 to 1090 MHz. (Figure 3). Figure 3: NXP’s AFIC10275N. Photo courtesy of NXP. For UAV developers, “SWaP-C [SWaP plus cost] is still the primary guiding system,” Carlson says. “For example, the communication system can’t be 10 times the platform cost. Clearly whatever communication system or sensor system I put on it, I have to be very cost-conscious. [Efficient transmitter designs are critical] because you don’t want to be throwing away any transmitted RF power, it’s wasted heat,” Carlson says. The increase in RF and microwave components in UAVs is having a positive effect in delivering to the warfighter the systems they require for successful missions. “It’s funny, because in a sense, I think [the components] are all a little bit codependent in that a UAV has a great suite of sensors but no ability to communicate that information,” Carlson states, noting that the system then becomes pretty useless if it can’t deliver mission-critical information to the command center. 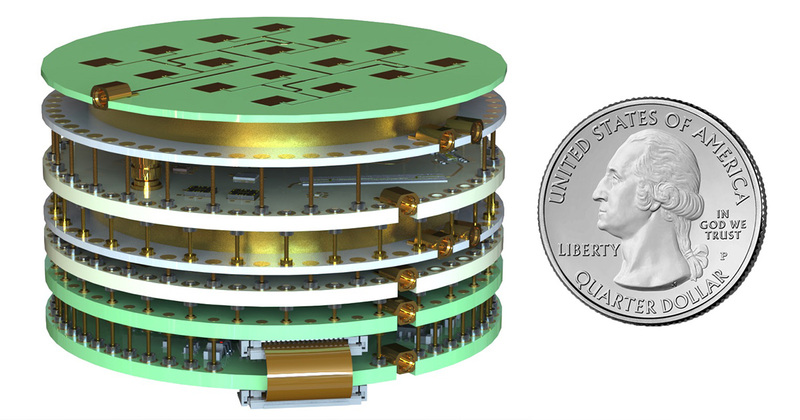 For example, MACOM “has a single-chip KU-band T/R module that’s been used in a communication phased array for drones that creates a real-time video link for a military application, providing an over-the-horizon video link,” Carlson explains (Figure 4). 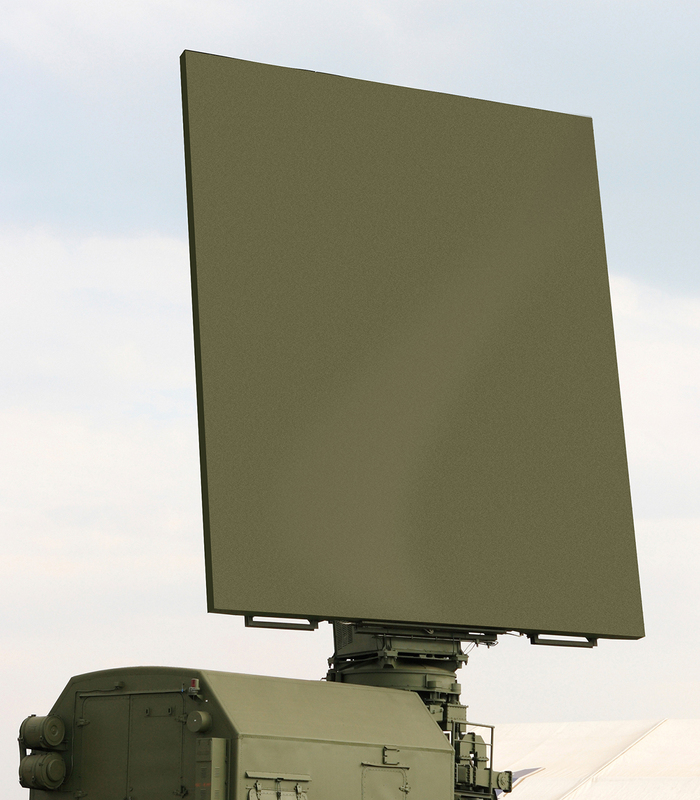 Figure 4: Ku-Band 8 W TRM for radar systems. Photo courtesy of MACOM.